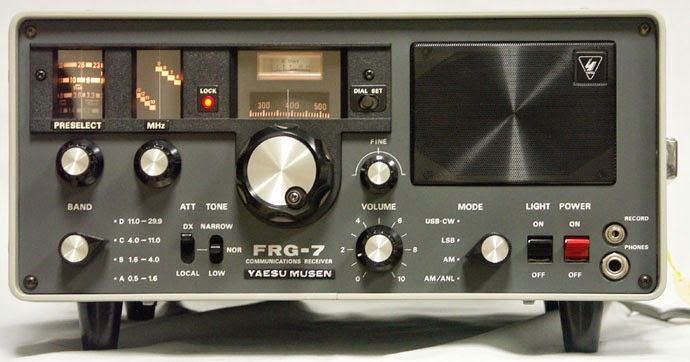 The Yaesu FRG-7 is an all mode receiver covering 200 kHz to 29.90 MHz in four bands .It is capable of AM, USB and LSB/CW. 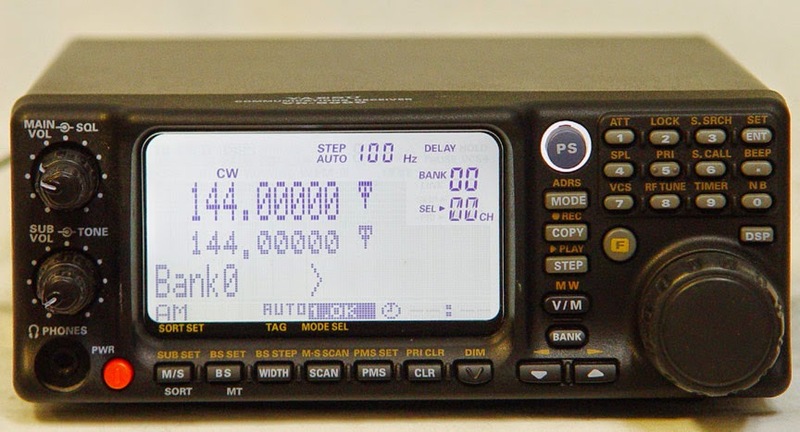 The display is linear analog providing up to ±5 kHz dial accuracy. Features include: RF Attenuator, Preselector, Fine Tuning , Tone Control and ANL. There is a carry handle on the right side. The rear panel has high and low impedance antenna inputs. 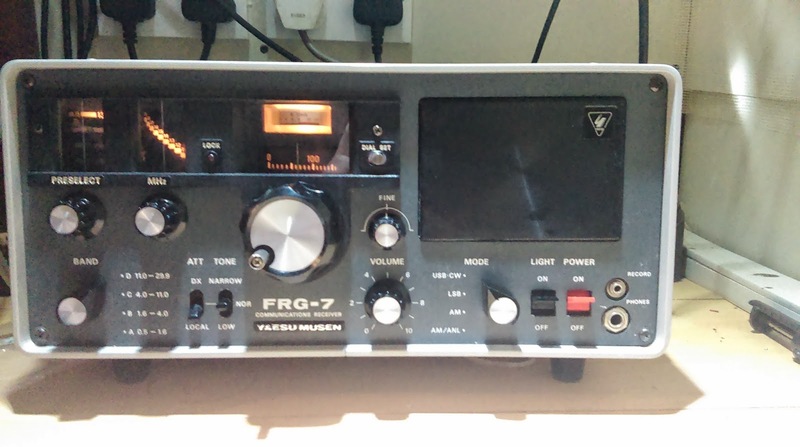 My FRG-7 operates from 250VAC, 13 VDC or 8 D cells that plug in the battery pack that is accessible via the rear panel and is an optional extra. 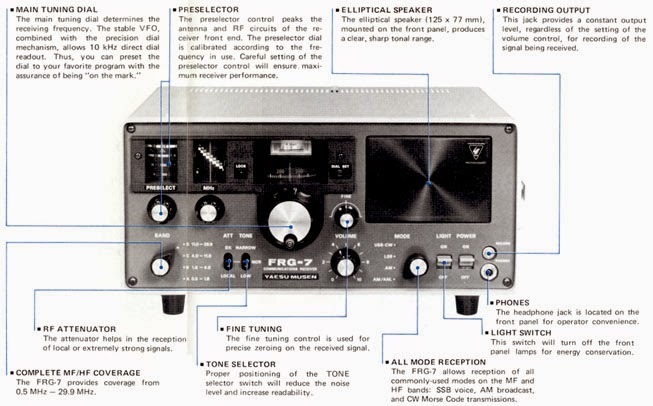 Early production FRG-7's did not have a Fine Tuning knob. 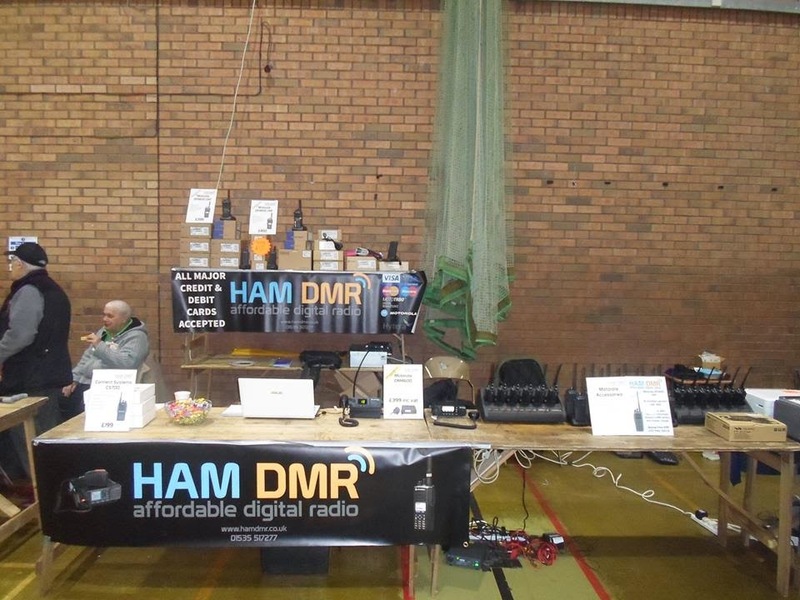 I was asked by my good friend Adam from Ham Dmr if I could give him a hand attending the Red rose radio Rally over at the The George H Carnall Leisure Centre,Kingsway Park, in Manchester . 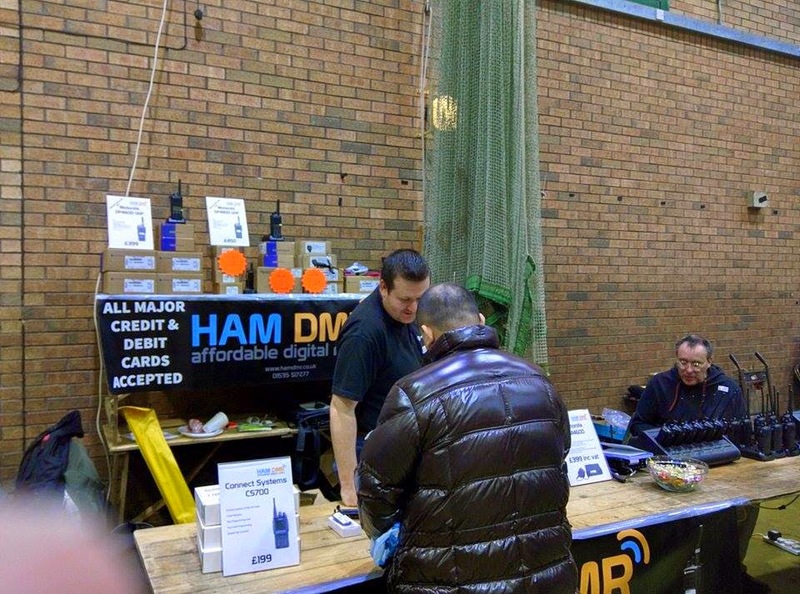 I am always happy to assist Adam in any way I can . So early one morning on the 18th of January we set off in the ice , snow and fog to attend the rally . 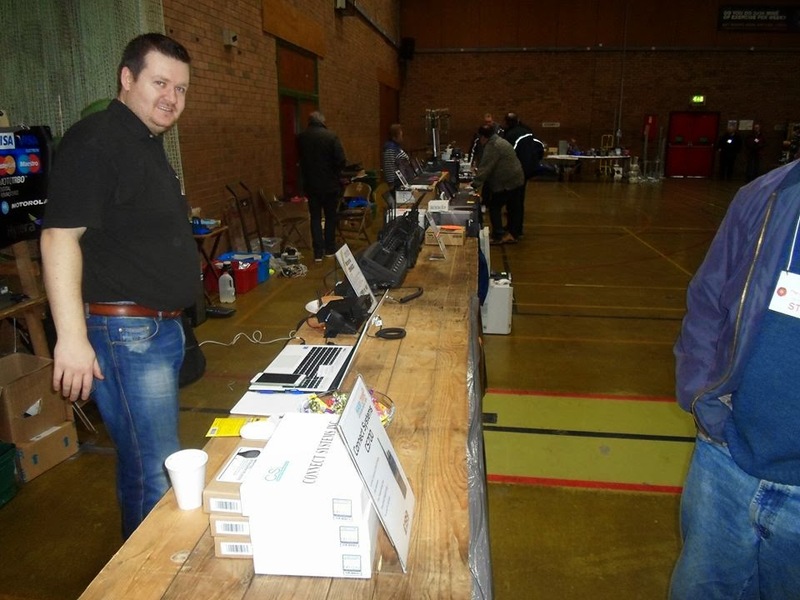 Once there we unloaded and set up the equipment . Afterwards I went for a walk around to take some pictures and have a look to see if there was anything worth spending my hard earned pay on. 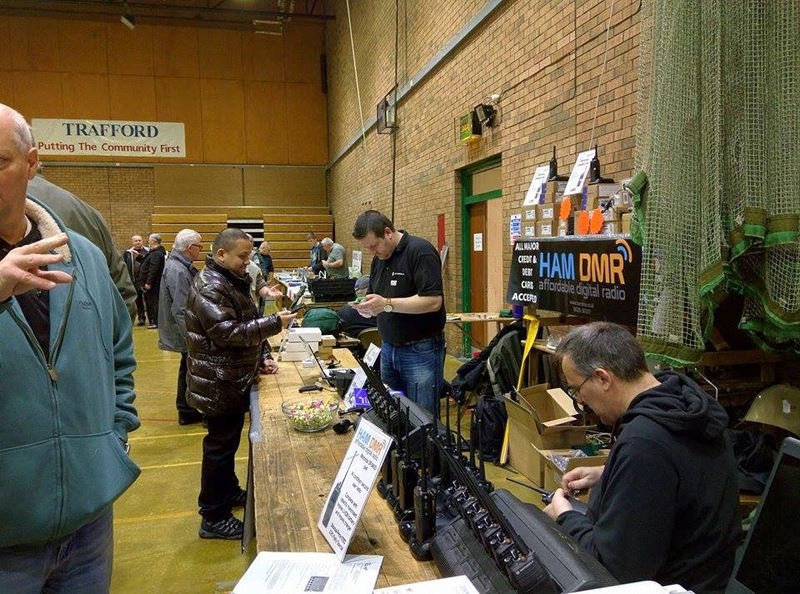 I noticed this nice looking FRG-7 on one of the stalls , and asking for a bit of a discount could I please purchase that nice looking FRG-7 , there was some haggling and I managed to get the said item for the bargain price of £60 . 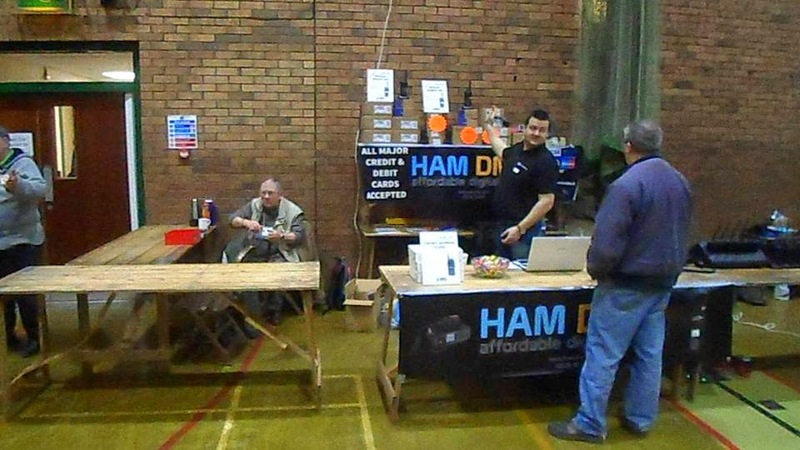 The stall holder asked I I could leave it on the stall till the rally was over. I readily agreed , with the proviso that it had a SOLD sticker on it . 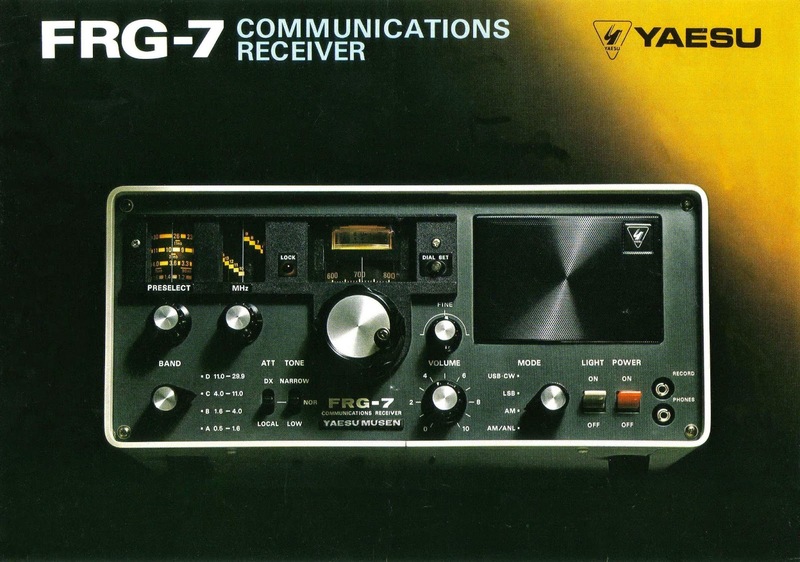 It is an old communications receiver first manufactured in 1976 and production ceased in 1980 there are better ones out there, and I hope to one day purchase a yaesu VR-5000. This is the VR-5000 in question. OK , Update on the E-Bay FRG-7, most of the old electrolytic Caps have been replaced, All seems Fine , the Tuner box that I got with it has had BNC sockets fitted, and I re-soldered a few loose connections and you know what ! IT WORKS . Now I am going to replace all those sub miniature bulbs with yellow led's and later maybe fit a digital frequency readout . All in all 100% successful day.